Mix Martial Arts has been called the future. The fastest growing sport in the world today. Here is where a person becomes a fighter, a fighter a star, a star into Champion, and Champions into Legends. Now fighters are to fans, what superheroes are to kids. Icons, Idols, a form of admiration and respect. Now every fan of the sport has their own favorite’s fighters, but everyone loves the fighter who becomes the Champion, Every wish and desire of the fans is to see their Champion to rise and defeat every contender in their division. But what if instead a Champion fights a fighter in a higher weight class? what if a Champion fights a rising star in the weight class above him? What if a Champion fights another Champion? Well that’s just a Dream fight. Now here are 5 Dreams fights no fan would dare to miss. – Anderson “The Spider” Silva his 6’2″ 185lbs ,holds a record of 26-4 , his the current Middleweight Champion of the UFC , he holds the longest winning streak in UFC history with 12 consecutive wins, including his 6 title defends in the last 4 years. He stand out for his Muay Thai Mastery ,He Holds a Black Belt in Brazilian Jiu Jitsu, Judo and Tae Kwan Do. Hes considered by most as the pound for pound best fighter in the world. With notable wins over Rich Franklin , Nate Marquardt , Travis Lutter , Carlos Newton , Dan Henderson , Demian Maia and Forrest Griffin. Anderson also holds the Cage Rage Middleweight Championship title and former Shooto Middleweight Champion. – Jon “Bones” Jones holds a record of 10-1 his 6’4″ 205 lbs , his fast becoming a star in the UFC light heavyweight division after his debut in the UFC , Jones was a 2005 state wrestling Champion in high school and a national Junior college Champion. Jones stand out for his unorthodox striking and impressive takedowns. Despite his record lost Jones is still undefeated in his MMA carrer, his only lost came to a DQ against Matt Hamill for the use of 12 to 6 illegal elbows. Hes a well know for his unorthodox stand up , a Tae Kwan Do mix with Muay Thai and a impressive Greco-Roman wrestling. His been called the next GSP by his trainers and considered to be a serious title contender in the near future , he holds notable wins over Stephan Bonnar , Jake O’brien and Brandon Vera. – BJ “The Prodigy” Penn his 5’9″ 155lbs , holds a record of 15-6-1 , he’s the Former Lightweight and Welterweight Champion of the UFC. Considered the best Lightweight in the world before his recent lost to Frankie Edgar at UFC 112 , Bj Penn was top 5 pound for pound fighter in the world. He will be soon fighting the rematch for the title and if he can regain the title there will be no doubt his the best Lightweight in the world. He holds notable wins over Matt Hughes, Jens Pulver , Joe Stevenson ,Sean Sherk , Kenny Florian and Diego Sanchez . He stand out most because of his sharp Boxing and his Brazilian Jiu Jitsu , he was the first born American to win a World Jiu Jitsu Championship on a black belt level. – Jose Aldo Junior his 5’7″ 145lbs, Holds a record of 17-1, hes the current WEC featherweight Champion, his top 5 pound for pound best fighter in the world. His currently on a 10 fight winning streak and has defend his belt ones against who was considered to be the best Featherweight of all times Urijah Faber. He stands out for his aggressive Muay Thai striking with 6 of his last 7 fights coming by Knock Out. He holds notable wins over Rolando Perez ,Mike Brown and Urijah Faber. – Eddie Alvarez his 5’9″ 155lbs , Holds a record of 20-2 ,he’s the current Bellator Lightweight Champion. He also competes on the Japanese organization Dream .Hes ranked as #5 lightweight in the world by Sherdog and Hes on a 5 winning streak. He stands out for his Boxing skills , he’s the former Welterweight Champion of BodogFight defeating Derrick Noble by KO in the first minute of the first round. He holds notable wins over Aaron Riley , Toby Imada , Derrick Noble and UFC veteran Josh Neer. – Gilbert “El Niño” Melendez his 5’9″ 155lbs , Holds a record of 18-2, He’s the current Strikeforce Lightweight Champion, he’s the third Champion in history to unified 2 titles of 2 major organizations after Anderson Silva and Rampage Jackson. He’s currently on a 4 fight winning streak and has avenged his only 2 losses, he is also the first ever WEC lightweight Champion. He stands out for his relentless attacks and cardio, he hold notable wins over Clay Guida, Mitsuhiro Ushida , Josh Thomson and Dream current Lightweight Champion Shinya Aoki. – Fedor “The Last Emperor” Emelianenko his 6’0″ 229 lbs , Holds a record of 32-2-1 ,Hes the last Pride FC Heavyweight Champion , He was #1 Heavyweight in the world before his recent lost to Fabricio Werdum , he was on a 28 fight winning streak before his recent lost and was undefeated despite his lost record due to a cut. 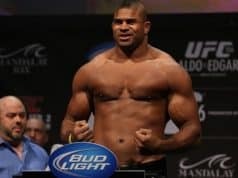 He stands out for his Knock Out Power and fast submissions , he holds notable wins over 6 UFC heavyweight Champions Mark Coleman , Minotauro Noguiera , Kevin Randleman , Tim Sylvia , Andrei Arlovksi , Mark Hunt , Mirko Cro cop and Brett Rogers. – Brock Lesnar his 6’3″ 265lbs , he holds a record of 5-1 , he’s the current UFC Heavyweight Champion, he won the UFC title in his third UFC fight , he has defend his title 2 times , he’s well know for his WWE career and gain MMA popularity faster than any other fighter. He won the 2000 NCAA heavy wrestling Championship. He stand up for his size, power and Wrestling , and holds notable wins over Heath Herring , Randy Couture, Frank Mir and Shane Carwin. – Georges “Rush” St-Pierre his 5’10” 170lbs ,Holds a record of 20-2. He’s the current Welterweight UFC Champion. His ranked #2 Pound for Pound best fighter. His one of the most well know MMA fighters to date. he stands out for his stand up early in his career specially his Kick boxing and lately for his world class wrestling and cardio. He holds notable wins over Karo Parisyan , Matt Hughes , Matt Serra , Josh Koscheck , Bj Penn , John Fitch , Thiago Alves and Dan Hardy. 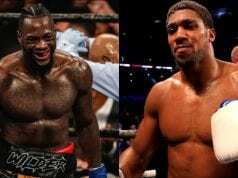 – Number 1 fight: possibly the best fight every fan can dream on , 2 of the highest skilled fighters on the planet , with similar bodies height and weight . both have great stand up , with Jones having amazing unorthodox strikes while Silva has his amazing Muay Thai skills. On the ground Jones is know for his Greco-Roman wrestling and ground and pound, while Silva holds a Black belt in Jiu Jitsu. the fight can take place anywhere and end up anytime! It is number 1 because of the high skills both fighters have and its possibly they met if Anderson beats Sonnen and moves up and meet in the way on the road to the light heavyweight title. – Number 2 fight: first time ever a fighter in a lighter weight move up and fights another champion of another organization, it is very likely to happened if BJ Penn can regain his title and Jose Aldo defend his belt and finish his opponent in great fashion, president Dana White has said he welcomes the idea of a super fight with these two. – Number 3 fight: the best 2 lightweights outside the UFC , both very skilled and with great records they could very well meet in the near future , two champions fighting to unified a title is every dream fight for fans, very similar in size and style Eddie Alvarez and Gilbert Melendez could deliver a fight of the year in a high pace fight. – Number 4 fight: even if this was or still is the biggest fight the MMA world could watch , its very unlikely to happened with Fedor not being in the UFC and his recent lost making him lost credibility as the best heavyweight in the world. the fight is still a dream one. it is num 4 because is highly unlikely to happened and maybe fans wont consider it anymore after Fedor’s lost .the size could b a factor but Fedor skills could be pull the fight, I guess we will never know. – Number 5 fight: GSP vs Anderson Silva is the super fight most fans would love to watch .considering they are in the UFC the fight could happened , but the size advantage of Silva could be too much for GSP . GSP is not likely to move up since his size is not that well to fit the big middleweights specially the 185 champion who is the biggest, while Anderson should be considering moving up to 205 if he defeats Sonnen, the fight will be more far from happening than ever, but still Silva could make another super fights more fit to him at 205, as mention the num1 on this list and even the first time ever in the UFC middleweight Champion vs Light Heavyweight Champion against Shogun Rua.